Workiva (WK) just came out with a quarterly loss of $0.12 per share versus the Zacks Consensus Estimate of a loss of $0.24. This compares to loss of $0.14 per share a year ago. These figures are adjusted for non-recurring items. This quarterly report represents an earnings surprise of 50%. A quarter ago, it was expected that this maker of software for managing regulatory filings would post a loss of $0.19 per share when it actually produced a loss of $0.09, delivering a surprise of 52.63%. Workiva, which belongs to the Zacks Internet - Software industry, posted revenues of $59.13 million for the quarter ended June 2018, surpassing the Zacks Consensus Estimate by 5.43%. This compares to year-ago revenues of $49.39 million. The company has topped consensus revenue estimates four times over the last four quarters. The sustainability of the stock&apos;s immediate price movement based on the recently-released numbers and future earnings expectations will mostly depend on management&apos;s commentary on the earnings call. Workiva shares have added about 18.7% since the beginning of the year versus the S&P 500&apos;s gain of 6.6%. While Workiva has outperformed the market so far this year, the question that comes to investors&apos; minds is: what&apos;s next for the stock? There are no easy answers to this key question, but one reliable measure that can help investors address this is the company&apos;s earnings outlook. Not only does this include current consensus earnings expectations for the coming quarter(s), but also how these expectations have changed lately. Ahead of this earnings release, the estimate revisions trend for Workiva was mixed. 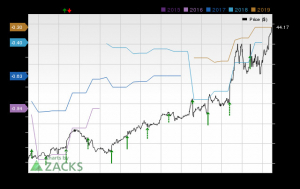 While the magnitude and direction of estimate revisions could change following the company&apos;s just-released earnings report, the current status translates into a Zacks Rank #3 (Hold) for the stock. So, the shares are expected to perform in line with the market in the near future. You can see the complete list of today&apos;s Zacks #1 Rank (Strong Buy) stocks here. It will be interesting to see how estimates for the coming quarters and current fiscal year change in the days ahead. The current consensus EPS estimate is -$0.23 on $58.77 million in revenues for the coming quarter and -$0.73 on $236.30 million in revenues for the current fiscal year. 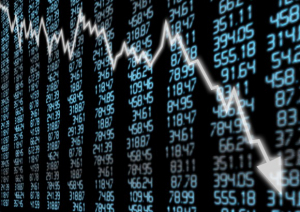 Investors should be mindful of the fact that the outlook for the industry can have a material impact on the performance of the stock as well. In terms of the Zacks Industry Rank, Internet - Software is currently in the top 42% of the 250 plus Zacks industries. Our research shows that the top 50% of the Zacks-ranked industries outperform the bottom 50% by a factor of more than 2 to 1.